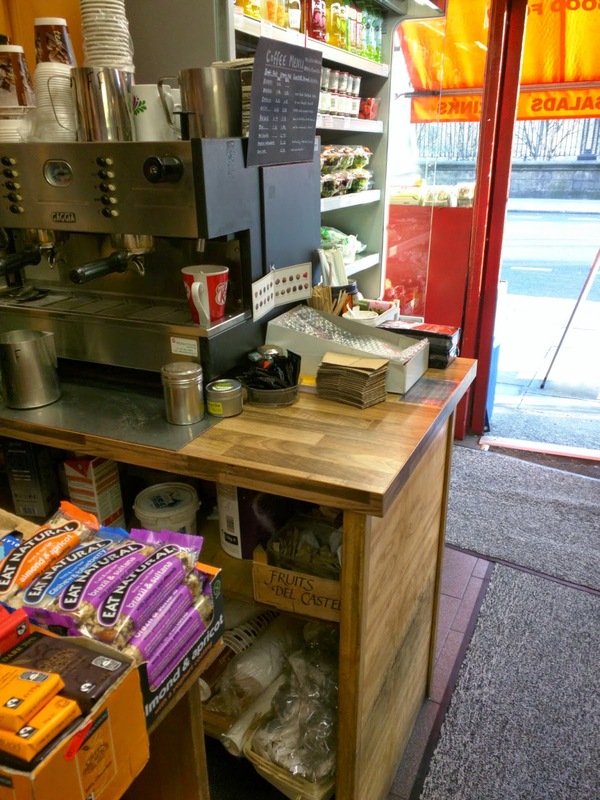 We love trying different coffee shops in Dublin and use them as an excuse to take different walks on the way to work in the morning. My husband, +VacationCounts, and I think it's important to do something fun every day and taking a walk in the morning together before work to get a coffee is our fun daily ritual. 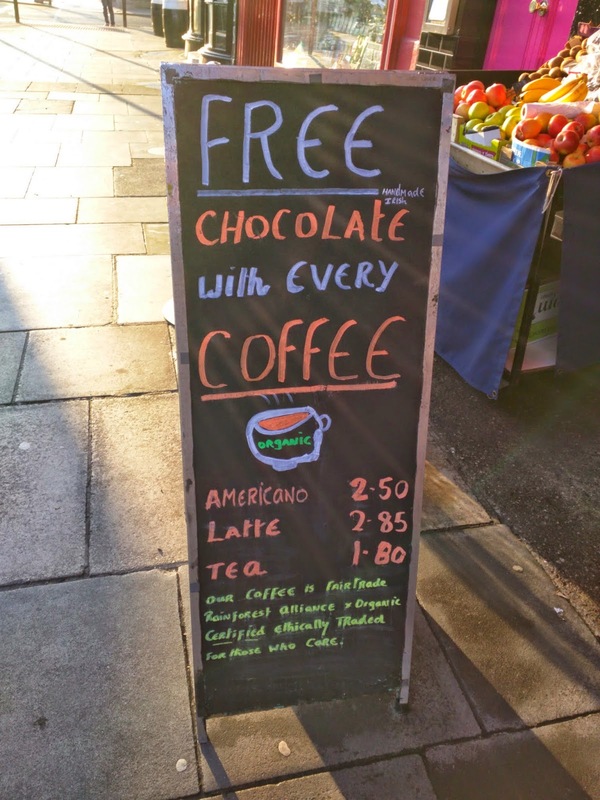 We walked into city centre fully intending to go to a different coffee shop, but then we saw this sign outside the Runner Bean: free chocolate with every coffee. We simply couldn't resist and changed our plans to give it a try. 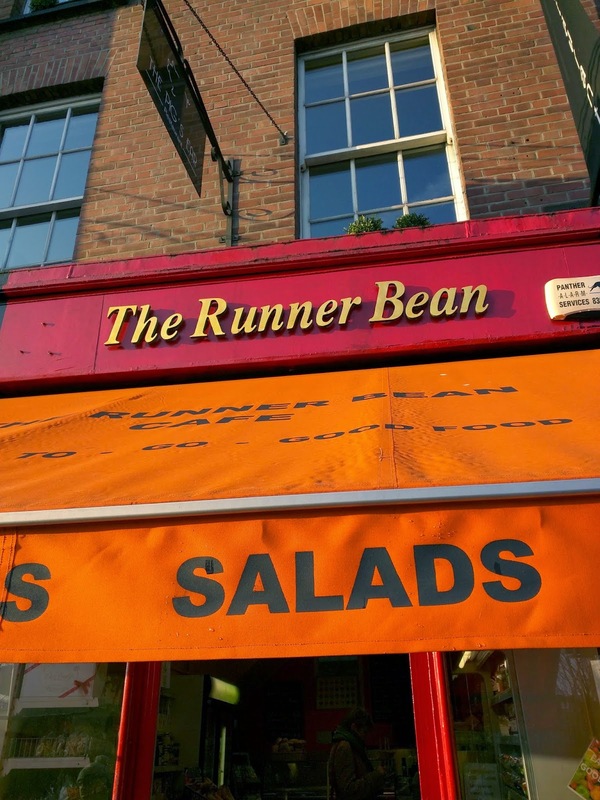 The Runner Bean is located in a small storefront on Nassau Street. 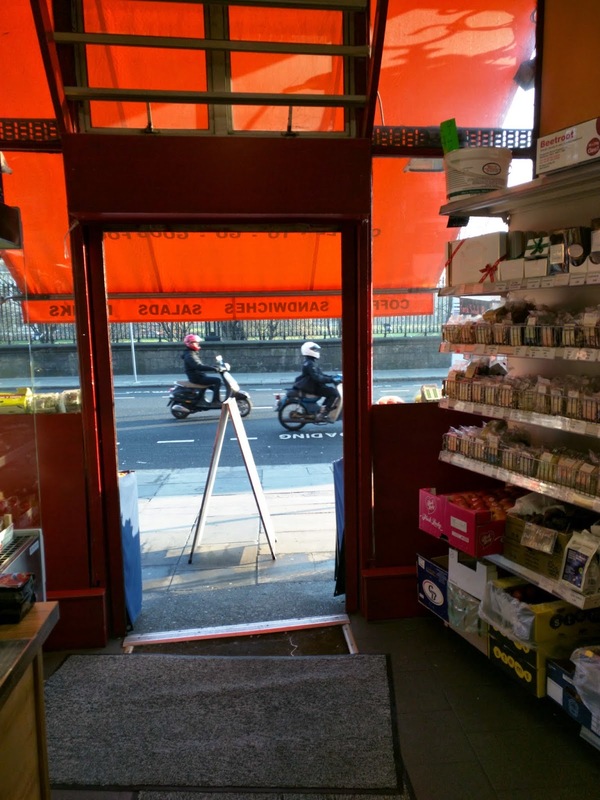 Inside, they sell groceries and produce but have a small coffee counter set-up. It was like a small oasis from the hustle of the morning commute outside. We sipped a well-crafted cappuccino and deliberated over which chocolate to choose from Chez Emily. Runner Bean is another fun spot to add to our regular morning rotation. So much great coffee in Dublin, so little time. 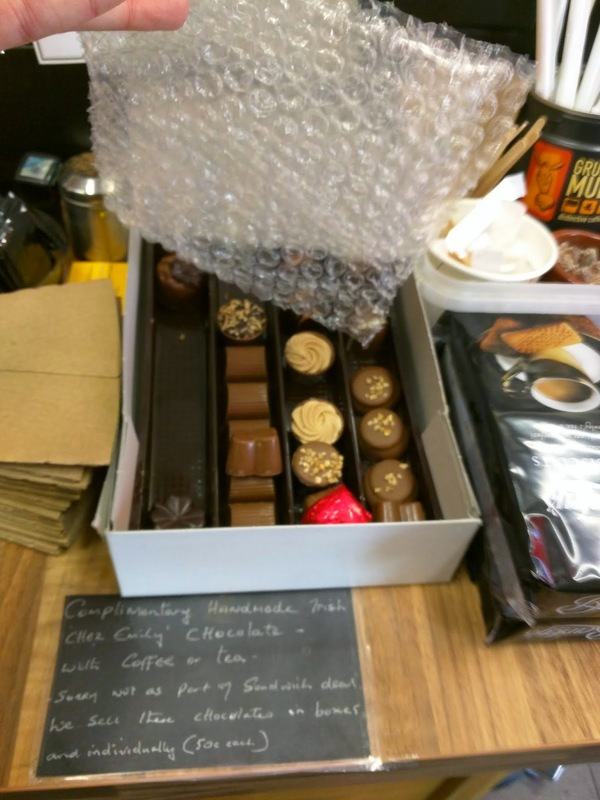 Review of the coffee at Runner Bean in Dublin.